Both the hip joint and the shoulder joint are ball and socket joints. The head of the femur and the cup like acetabulum are covered with articular cartilage. 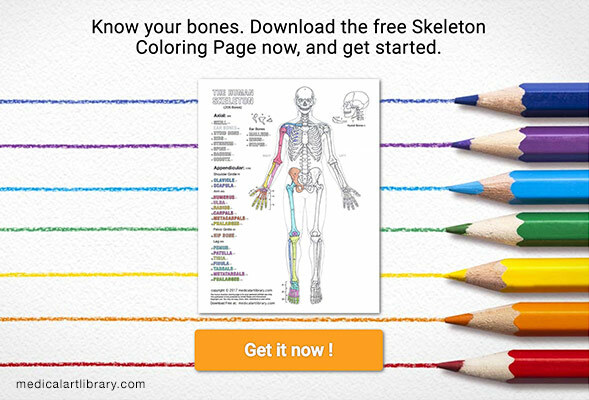 The cartilage in the acetabulum is in a horseshoe or lunate shape. The articular fossa is filled with fat and covered by synovial membrane. With a shallow glenoid cavity, the shoulder joint has a wider range of movement and is the most frequently dislocated joint in adults. 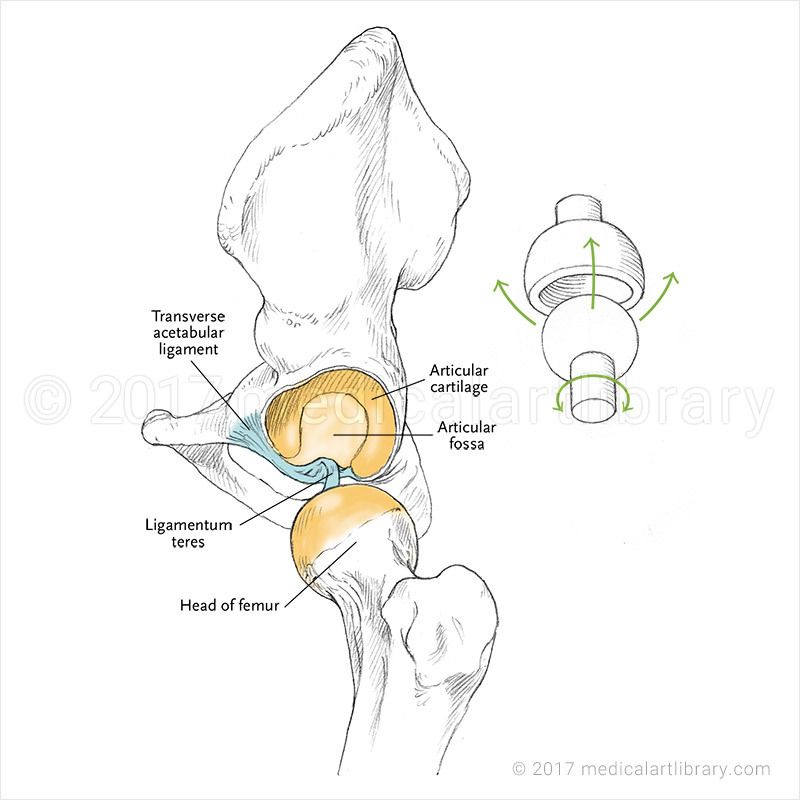 Because of the deeper concavity of its acetabulum, the hip joint has less range of movement than the shoulder and is well designed for stability. 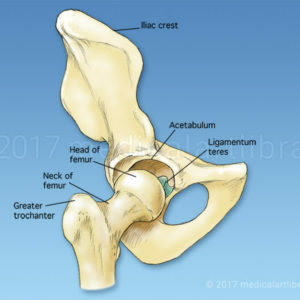 The ligamentum teres attaches from the head of the femur to the lower margin of the acetabulum where it blends with the transverse acetabular ligament.